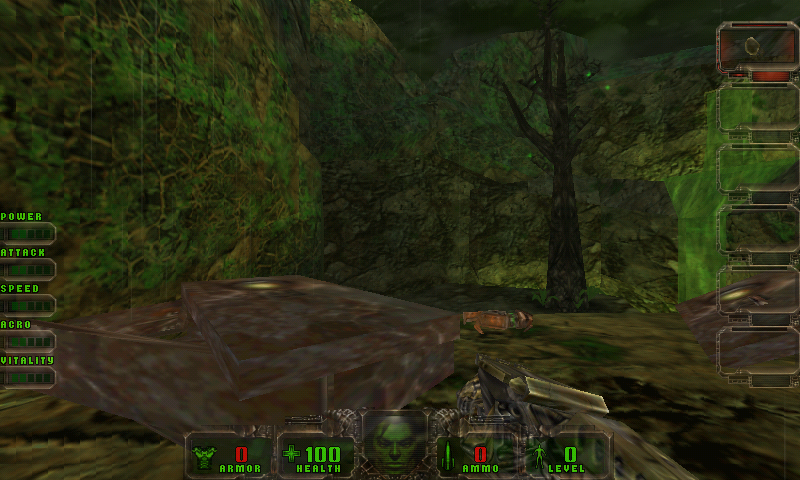 John Romero's Daikatana (also known as simply Daikatana) is a science-fiction/fantasy first-person shooter developed by Ion Storm and published by Eidos. Players control Hiro Miyamoto, a martial arts instructor in a futuristic, dystopian Japan (set in 2455 A.D.) where the world is run by powerful corporations (the most powerful owned by the ruthless Kage Mishima). After learning from a feeble old man (Toshiro Ebihara) that the current timeline is actually an alternate timeline after Kage has taken control of the Daikatana (a powerful, magical sword that allows its wielder to travel through time), Hiro (along with Toshiro's daughter Mikiko and a mercenary named Superfly Johnson) must recover the sword and, while traveling throuhg time, return Earth to its normal state. 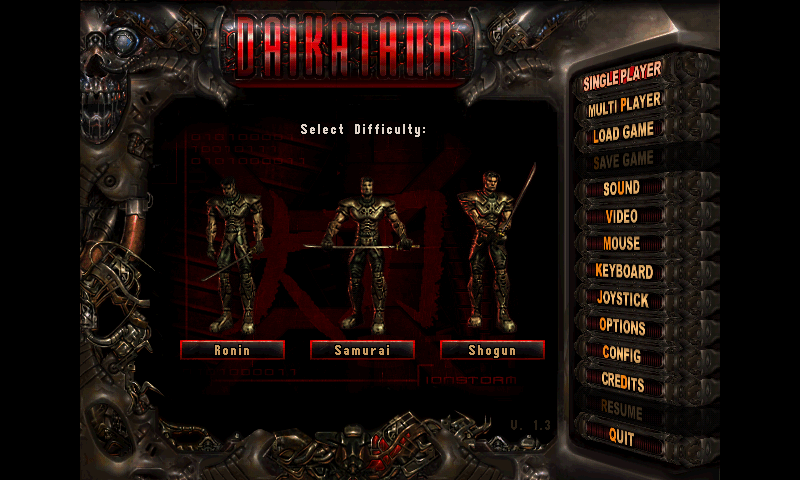 Here is Daikatana, the game from John Romero. You need the data files from the original game. If you don't have them, a Demo pnd exist, ready to play. 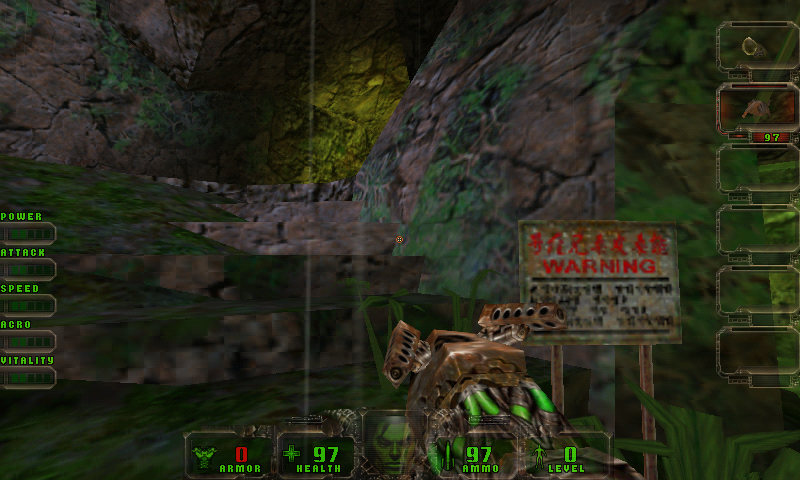 The game use gl4es, and is configured with shoulder button as mouse button, and Nubs configured for FPS game (Left nub to move, Right nub to aim). The usual configuration files (left_nub, right_nub and .noshouldermb) are also used. Game is pretty hard, and dark (and gloomy for 1st world), so I suggest to put more light in the Option menu. 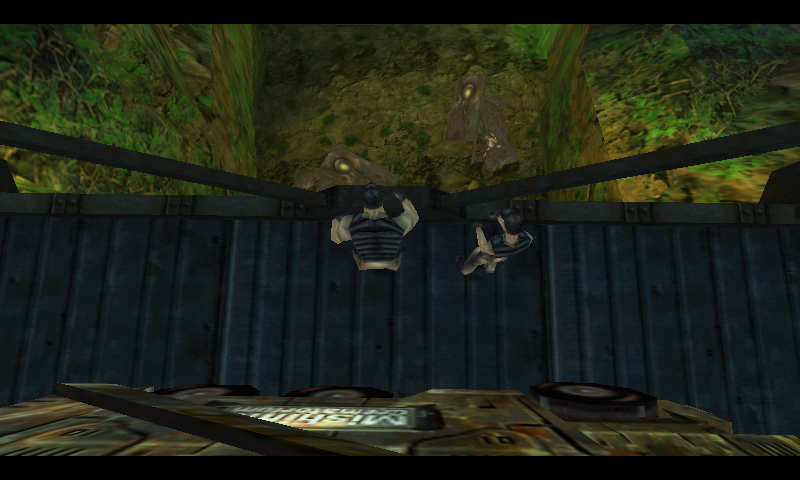 @CCF: It is not that bad (and it's running very smoothly on the Pandora). 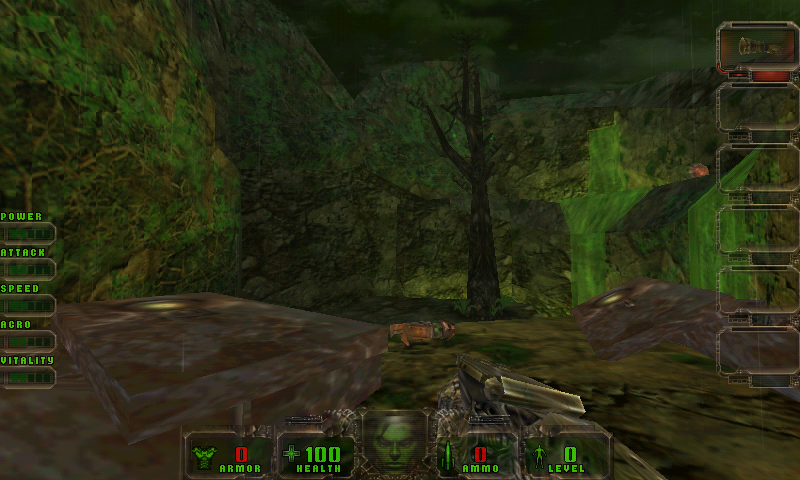 awful...one of the worst FPS's ever made. 1/5. Works perfectly now, amazing stuff! Bug fixed with Build 02! @ptitSeb, Yes I can confirm this bug as well.